Menopause is a natural transition in a women’s life and signals the end of her reproductive abilities. 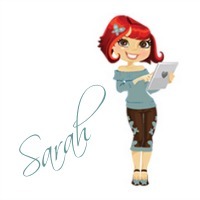 Let’s discuss symptoms, lifestyle factors and remedies for hot flashes today. This is the first post in a series on women’s health in midlife. In the United States, the average age of menopause is 50-52 years of age, but the period leading up to menopause, called perimenopause, can last from a few months to many years. During this perimenopausal period, the ovaries stop responding to FSH (follicle stimulating hormone) and begin producing less and less estrogen and progesterone. This change causes symptoms such as hot flashes, night sweats, insomnia, headaches, vaginal dryness, vision changes, weight gain and irregular menstruation. The complete transition into menopause is said to occur when menstruation has stopped for 1 complete year (Parker, 2013, pgs. 258-259). These symptoms can be very disruptive to a woman’s life and many seek help from their allopathic doctors who prescribe synthetic and bioidentical hormones as well as anti-depressants (Carroll & Kelley, 2009) to help with symptom management, but not everyone wants to, or can, take the antidepressant or hormone replacement route. 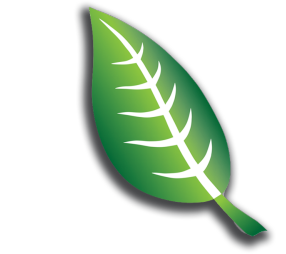 This website is focused on natural menopause remedies. Hot flashes and night sweats seem to be the most common symptoms of this change. It is estimated that 65-80% of premenopausal women experience hot flashes (Murray & Pizzorno, 2005, pg 745). 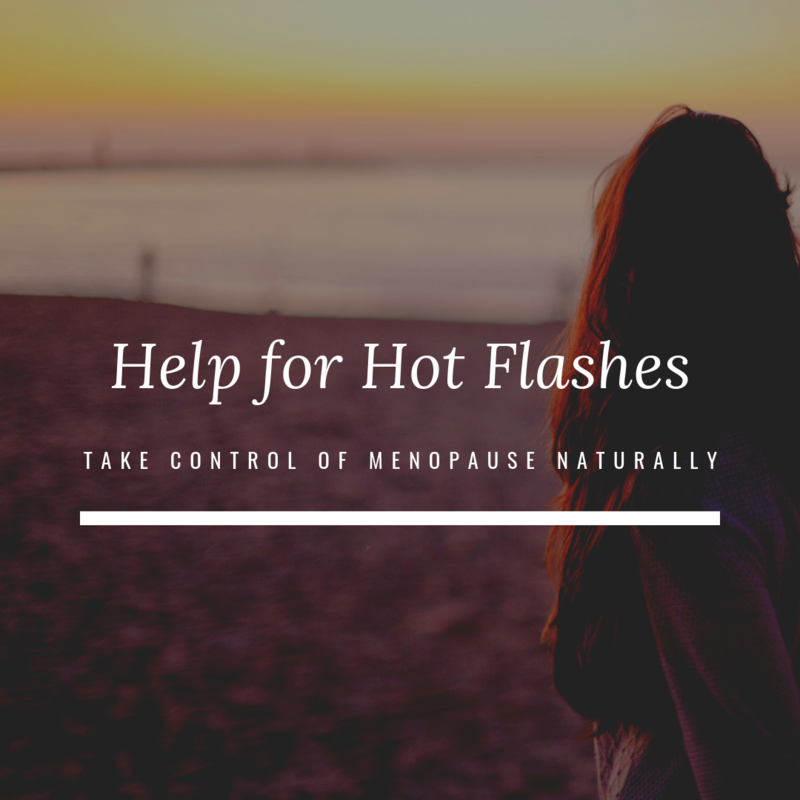 Hot flashes, also known as hot flushes, are sudden changes in body temperature causing a woman to feel hot, begin sweating and may even include a flushed face. When these hot flashes occur at night, they are referred to as night sweats and contribute to symptoms of insomnia and fatigue. It is believed that hot flashes are triggered by minute fluctuations in core temperature due, in part, to the fluctuating estrogen levels in the body during midlife. It is also believed that perimenopausal and menopausal women have a reduced thermoneutral zone. This thermoneutral zone is the range in which the body feels comfortable with no need to sweat or shiver to maintain a balanced body temperature (Freedman, 2014). Therefore when these slight changes occur to core temperature, the body reacts quickly to try and maintain homeostasis causing hot or even cold flashes. There are certain risk factors that may contribute to the severity and frequency of hot flashes for certain women such as diet, obesity, caffeine consumption, stress, tight clothes, alcohol consumption, smoking and even phthalate exposure from personal care products (Ziv-Gal, Gallicchio, Chiang, ther, Miller, Zacur, Dills, Flaws, 2016). Diet and lifestyle changes need to be addressed first when dealing with hot flashes. It used to be believed that increased abdominal adiposity (belly fat) decreased one’s risk of hot flashes, but studies are now showing that not to be true. One of the first steps in reducing hot flashes should be reaching and maintaining a normal body weight for your body. Focusing on a primarily plant based diet that includes phytoestrogens such as soybeans, soy foods, (be careful with soy though) flaxseeds, nuts, whole grains, apples, fennel, celery, parsley, cabbage and alfalfa (Murray & Pizzorno, 2005, pg. 745) as well as reducing caffeine intake may be helpful (Faubion, Sood, Thielen, & Shuster, 2015). I personally advocate a low carbohydrate (lots of above ground vegetables), low to moderate animal protein (70-85g) and healthy high fat (avocado, nuts and seeds, coconut and olive oil) diet. 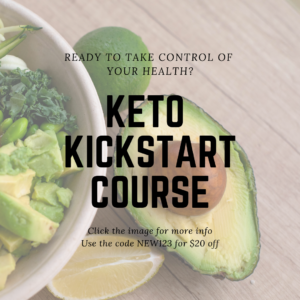 Check out my Keto Kickstart course to help you get started on the right foot. Smoking has also been shown to increase one’s risk of hot flashes, so stopping smoking is extremely important for many health reasons including reducing hot flashes (Whiteman, Staropoli, Langenberg, McCarter, Kjerulff, & Flaws, 2003). While exercise may increase the occurrence of hot flashes in some women, as little as 20 minutes of mild to moderate exercise 3 days per week (Longe, 2015) has been found to be helpful in reducing hot flash incidence. Stress reduction and relaxation techniques have been found to be equally as beneficial as some drug therapies in reduction of hot flashes (Freedman, 2007). This means that working to incorporate yoga, meditation, breathing techniques and mindfulness in daily self care practices can have a significant benefit to your hot flash reduction and quality of life. There are a few herbs that may help to reduce hot flashes. One of the most popular is black cohosh. Black cohosh has been found to reduce both the severity and frequency of hot flashes in postmenopausal women (Shahnazi, Nahaee, Mohammad-Alizadeh-Charandabi, & Bayatipayan, 2013). Another important herb that helps reduce symptoms is fennel. In a triple-blind study, women in midlife were given 100mg of fennel twice a day. This dosage showed significant improvement in symptoms as compared to the placebo group (Rahimikian, Rahimi, Golzareh, Bekhradi, & Mehran 2017). I like the product Femtrol which includes fennel and black cohosh as well as other herbs. Red clover has been found to also possibly reduce hot flashes, but more studies will need to be done on this (Ghazanfarpour, Sadeghi, Roudsari, Khorsand, Khadivzadeh, & Muoio, 2016). Certain essential oils have also been shown to be helpful for menopausal symptoms. Peppermint oil can be mixed with a carrier oil and placed on the back of the neck during a hot flash. It has a very cooling effect (7 Essential Oils for Menopause Relief). Clary sage has been shown to have antidepressant effects and reduces cortisol (Lee, KCho, & Kang, 2014). You can easily put this in a diffuser or inhaler or use a product like Clary Calm that can easily be kept in your purse and used as needed. You do NOT have to suffer during menopause…it should be the prime of your life! Schedule an appointment today so we can get you feeling amazing!